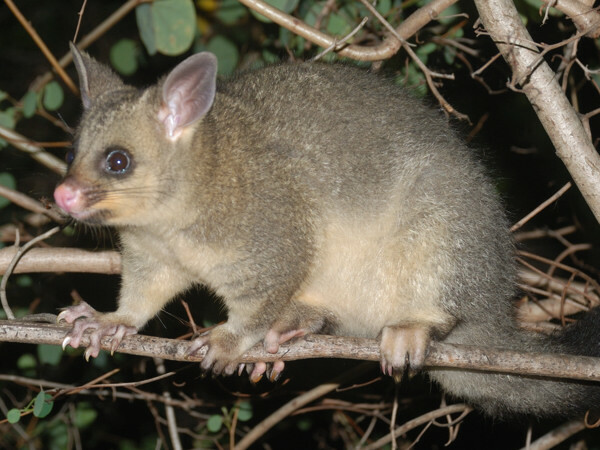 First of all, apologies for the Possum TV site being unavailable recently. From the 24th of October until the 10th of November there were Cable Internet issues, seeming related to the cable network being transferred from Telstra's ownership to the NBN. Full transition to the NBN is scheduled to happen in the second quarter of next year, so it is possible there could be ongoing problems up to (and most likely beyond) that date, although currently the Internet is OK as I write this. Now to possum news: Pogo is still around. He avoids Sasha altogether because she now chases him off on sight. Here is the last picture of Sasha and Pogo together. Sasha takes good care of her offspring while they are under her protection, but ultimately they have to be encouraged to leave. And some more pictures of Pogo. Bilbo has started visiting again. When he first reappeared, he had a nasty wound on his back. What was a particular worry is that around the time he stopped visiting (mid September; a month prior to his reappearance) he had a small wound in roughly the same place on his back. Wounds that get worse rather than better over time are a sign that something is wrong. The vet agreed that treatment was required. Possums here are generally treated for infections on an outpatient basis - that is to say that rather than caging them and/or taking them to a vet for treatment, they are allowed to go about their own business and are given antibiotics when they visit. 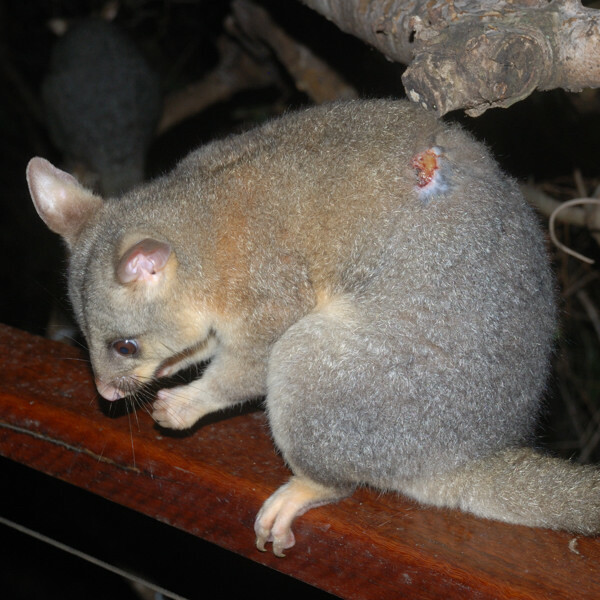 Exudative dermatitis, which is the main concern with brushtails, is related to stress, so stressing a possum by capturing it and holding it in captivity is going to detract from the treatment. 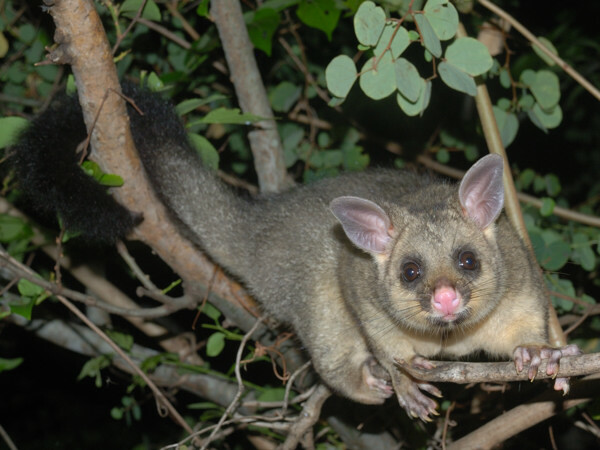 Also if it takes a couple of weeks to fully cure a possum, that possum could have lost its territory to an intruder in that time and might have a big fight on its hands when it's released. Of course the downside of outpatient treatment is that it requires the possum to visit regularly and to accept food dosed with medicine, so I'm not saying it's always the best option. 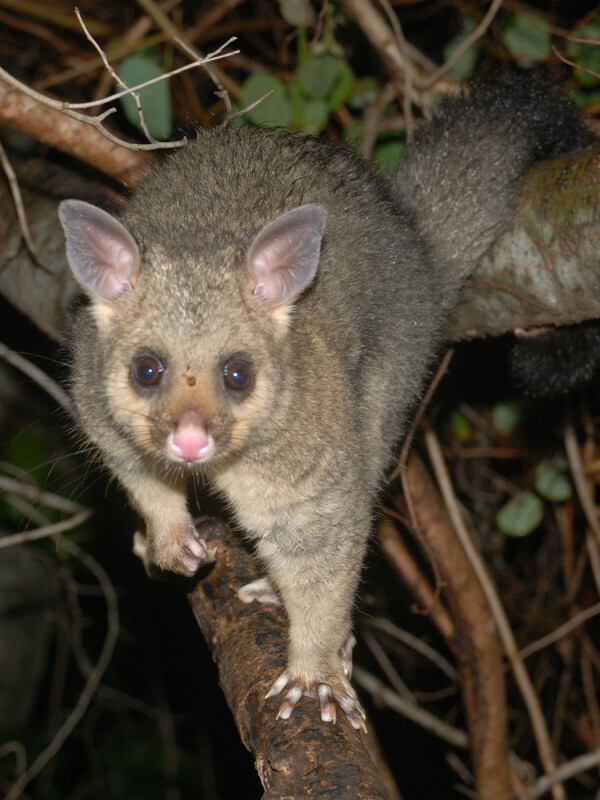 Here at Possum TV, however, there are humans willing and able to wait up all night if necessary to ensure a possum gets its dose, so that tilts the balance more in favour of outpatient treatment. Anyway, after a difficult start, Bilbo is now coming regularly for his medicine and his wound has now almost completely healed. 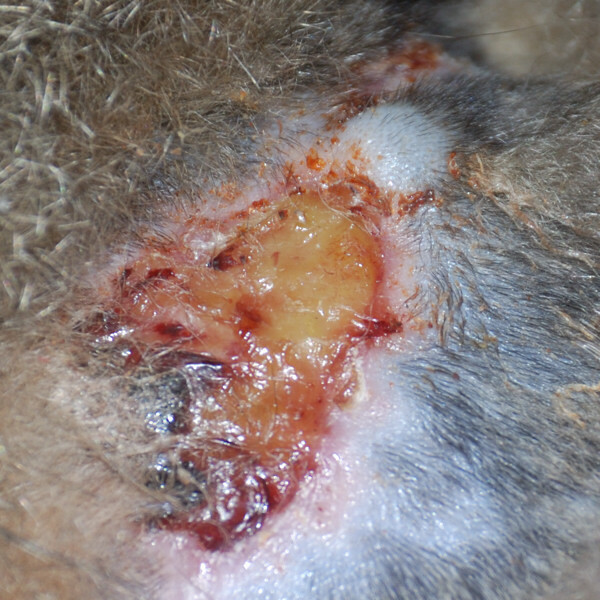 At one stage a tick had fastened on to his wound, but it has now dropped off with no ill effects. I think the tick might have made a bit of a mistake in selecting the location for its feast; rather than fresh possum blood it looked to be sucking on pus from the wound and it was looking decidedly unhealthy before it disappeared. Koji is still visiting and healthy. At one stage he lost a considerable amount of fur on his rump, but this has now grown back. Nikita is also still around and in good health and visits regularly. She has babies in her pouch. There has been some uncertainty about what other ringtails are around. Last entry, I mentioned that Ghani has returned, but I am now uncertain about this. 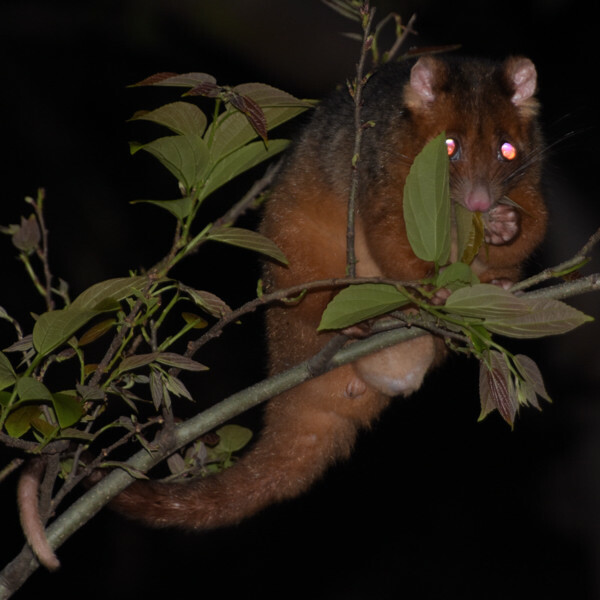 The possum I had identified as Ghani was seen with another larger female possum who I had assumed was his mother Zoë. However both were careful to keep well away from the humans, which was unusual (although not unknown) for either possum. Later, the female was seen closer up and she was definitely not Zoë. There was also another male (also not any of the known ringtails) seen around with the pair of them. At one stage a female with two largish babies seen in a tree next door. It is not impossible that this is Zoë with Leto and Ghani and they have decided to shift their territory for some reason. The new female has been named Pebbles and the new male Bamm-Bamm. These two are often seen together. Like Nikita, Pebbles also has babies in the pouch and hers seem more developed; hopefully there will be photos of her to come. 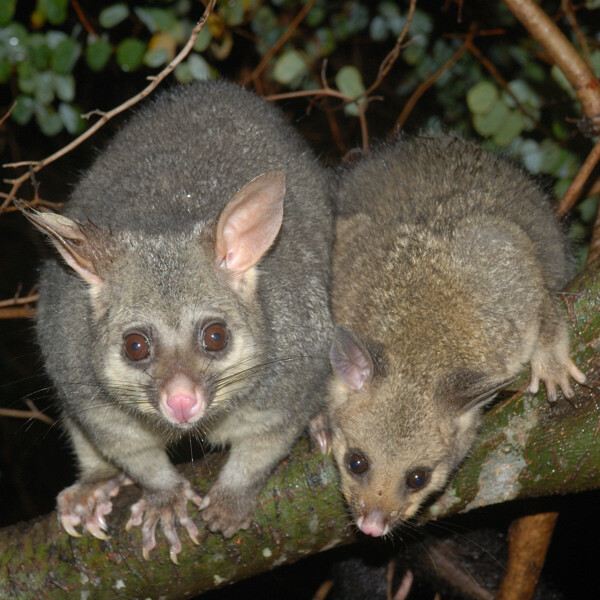 It is not clear whether these possums are related to the current family group or whether they are refugees forced into the area by the extensive land clearing that is still continuing in this area. Bamm-Bamm was filmed chasing Nikita. It's not clear whether this was a mating thing or rivalry between the two groups of ringtails. I haven't forgotten about the other videos I mentioned last time and will try to post them soon. Thanks for the update! Always enjoy your posts. Love the tick story. The little bastards always go for the most sensitive bits (for example, One Eyed Puss's empty eye socket! ).